499 years ago today, a princess was born in the Royal Palace of Placentia in Greenwich (today a borough in south east London). It was the princess that should have been a prince, the only surviving child of Henry VIII and Catherine of Aragon, Mary. There is no reason to suspect that the first 10 years of Mary´s life was anything but happy. Catherine gave her very much the same upbringing and education she would have received, had she been the much longed for prince and heir to the throne. But to Henry, and most likely society at large, it was inconceivable that a woman should, or even could, be regent. 1529 it all turned around. 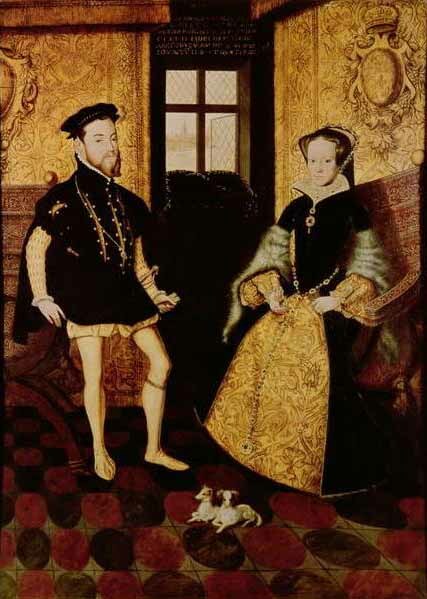 Henry embarked on his Great Matter to have the marriage to Catherine annulled. Mary was eventually declared illegitimate and separated from her mother for the rest of Catherine´s life. She became sickly from the stress she experienced, such as constantly being subjected to attempts to force her to acknowledge her mother as something else than the rightful Queen as well as acknowledge her father as the head of the English church, something which was impossible to the devout catholic that was Mary. Her longing for children of her own is reputed, a fact that led her to happily look after her younger sister Elizabeth even though she loathed her mother Anne Boleyn. 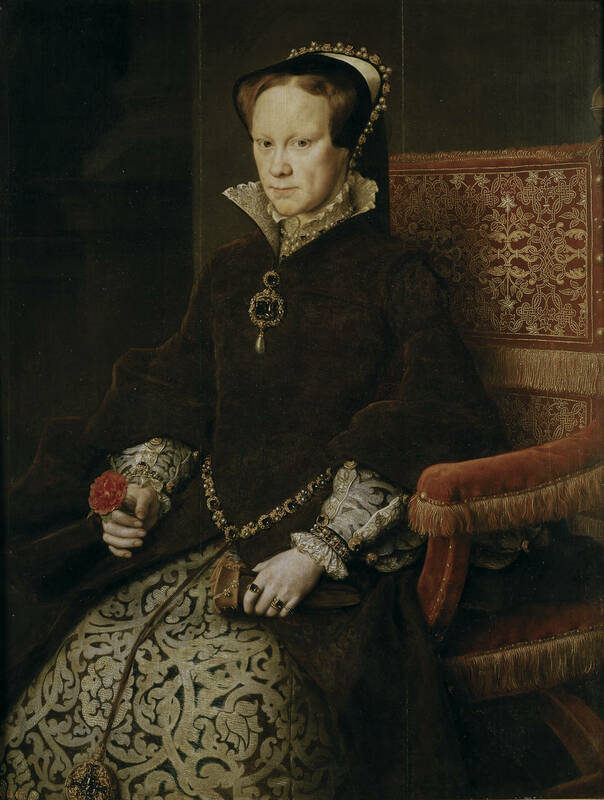 1533, at the age of 37, Mary ascended the throne as Mary I of England. The following year she married Philip of Spain. One has to assume that it was to the great sorrow of Mary that the two never conceived any children, even though Mary on two occasions thought herself to be pregnant. Mary reinstated the catholic faith in England, and as a result of her hard persecutions of evangelicals and Protestants she has gone to history as Bloody Mary. She died on November 17th 1558 and was succeeded by her half sister Elizabeth.